How Does a Big Enterprise Deliver Data? What-if modeling, essentially a simple form of simulation, is a powerful concept in business analytics. I was reminded today that you can do this kind of parameter based analysis is Tableau Software. See this article in their blog for more information. In Information Management: I agree that specific skills are needed. But even beyond what is said, the ability to understand and map the business processes involved. It is not just the statistics and the math, it is the practical understanding of the complexity in the process. Need help? Contact me to chat. Learning is a favorite topic of mine. I supported a language laboratory study of sleep learning a long time ago and still follow this area. Here in Wired " ... an interview with Robert Bjork, the director of the UCLA Learning and Forgetting Lab, a distinguished professor of psychology, and a massively renowned expert on packing things in your brain in a way that keeps them from leaking out. ,,, "
Does working in teams make people less receptive to outside input? How can social comparisons determine trust in working relationships? How do the training and technical knowledge of entrepreneurs take from previous employers impact the success of their new ventures? ... "
Bringing together real and virtual worlds.? No, I still can tell the difference. " ... Social science studies increasingly suggest that the divide between the virtual and real worlds is narrowing. Our experiences of reality may no longer constitute a duality. Nathan Jurgenson of Society Pages, a multi-blog social science forum hosted by the University of Minnesota, rejects the idea of dualism. “No longer can we think of a ‘real’ world opposed to being ‘online,’” he says.... "
" ... Rising commodity costs and volatility in input prices have become facts of life. Basic commodities are under pressure not only from their own higher demand but also from increasing alternate uses. Only a handful of commodities will likely result in real shortages and constraints, but no matter what business you’re in, rising prices and volatility will become the norm. Executives are feeling the pain. In a recent Bain & Company executive survey, more than half of the respondents told us that cost pressures constrain their ability to make strategic investments (see Figure 1). That is a big issue for nearly all companies, given that procured costs represent between 25 percent and 60 percent of a company’s total costs, depending on the industry. We frequently find that procurement does not get a commensurate level of organizational investment ... "
An interesting patent description from Apple on 3D imaging patents. And some additional information on 3D imaging developments. Useful for retail context applications and simulation modeling. Starting immediately, select posts from this blog will be cross posted in Pinterest and G+ under my name as an experiment. Follow them there as this idea and design changes evolve. Select posts have been placed in Twitter for several years now. This is obvious. Collaboration is important at strategic and tactical levels. But the details are worth repeating. " ... In a report by SCM World, 49.1% of buyers and 40.8% of sellers believe information-sharing benefits supply chain efficiency. "It is vital we have those windows to ensure transparency so we can effectively share information and data around sales and operations planning, supply demand and so forth," said Gerry Fay, chief global logistics and operations officer at Avnet, a maker of electrical components... "
When I worked with analytical methods in the big enterprise, it was often the case that work had already been done to map out the business processes involved. In the mid 1980s we were already using methods like expert systems to improve these processes. Some of the research there came from academic work in artificial intelligence. At the time IBM was also starting to test the idea of 'expert systems' to model and improve internal processes. This often included the requirement to integrate systems like optimization, statistical modeling and correct and complete database designs and contents to make sure the decisions were represented correctly. Frankly it would have been difficult for the small to medium size company to do the same thing at that time. In my consulting experience, I have discovered that their methods are not mapped as completely, and the methods needed have historically been too difficult and expensive to use. Since then I have followed methods like IBM's Watson Project, which uses many of the same expertise capturing capabilities. And SPSS, which embodies statistical and logical data mining methods we used within the former Clementine package. These methods help determine where the key parts of the business process reside. So many of the methods that we had to cobble together are there today for ready use. It is still true that expertise is required to connect these ideas together. And specialized expertise and techniques need to be leveraged to scope an accurate model of the business process. This day is here. The pieces are ready for any size enterprise. Be glad to discuss in additional detail. LA Times Article: On the state of the supermarket checkout and coming expected migration to smartphones. With a pointer to technologies of times past that we experimented with in much detail: " ... 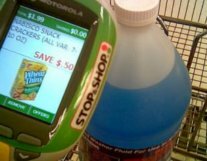 Ten years ago, shoppers envisioned a day when radio-frequency identification tags would enable them to whisk shopping carts through a checkout without unloading them — or bypass the checkout lane and ring up groceries as they walked through the store. But RFID never got cheap enough for razor-thin grocery margins. And we're still stacking groceries on conveyor belts, a 19th-century invention.... "
Abstract of a case study: it is still evolving, but the younger cadres of teachers and students see it as a viable tool. Similar to the way any encyclopedia was used in the past, as an introductory, definitional tool for a topic. Not for deeper research. Team collaboration and Gamification. An area we looked at a number of times without much success. Corporate culture was never one to experiment with anything non traditional. Always worth amother look for the sake of efficiency though.
" ... Jive Software launched two new products Wednesday that bolster its Jive Social Business Platform: Jive Social Intranet Solution and Jive Gamification. .... The Jive Social Intranet Solution is designed to address challenges people are having around internal collaboration, including existing intranets that never lived up to their promise, said Tim Zonca, director of product marketing at Jive. "The intranet, at least the promise of it, should have been able to solve some of these collaboration issues," he said. "Largely, the people we talk with say intranets have failed." ... "
Twitter event today: @IBMSmtrCmptng Expert Integrated Systems Twitter chat TODAY at 4PM EST #expertsyschat http://goo.gl/vC95h I will comment later. Post impressions and learning: Lots of interesting ideas floated about simplifying IT, and some good link references, some of which I will use later. I don't know how many people were participating, but it was a big group, which makes it hard to reflect carefully on many things said. Still think that such events work better with a smaller invited group. Being a fast and accurate typist also helps. I have saved the stream and take another scan later. In Information Management: The in-memory play continues: " SAS has unveiled a new in-memory analytics platform designed for scalability and very fast performance on standard blade architecture ... SAS Visual Analytics represents a lower entry point than the company's high performance analytic platform, with data exploration and visualization aimed at self-service business users..... "
In the HBR Blogs: We were always taught to give credit where it was due in the big enterprise. It does not mean that it always happened. A certain amount of diffusion of credit always occurred. Of course if you do not focus the credit its hard to allocate the necessarily limited rewards like pay, level and applause, We found that broad transparency made the most sense. Its an idea that can be outsourced within a enterprise. Steve Miller in Information Management: On our inability to link common sense and statically rigorous reasoning. Very true, and it is even more difficult to explain this kind of reasoning to the decision makers that may ultimately have to rely on it. I spent many hours in my career using simple examples to drive these ideas through. Miller provides some excellent simple examples of our quickness to look for causal explanations. See also his recent post on Duncan Watts' book: "Everything is Obvious ...", also well worth the read. Quoting and expanding on: " ... common sense is "exquisitely adapted to handling the kind of complexity that arises in everyday situations … But 'situations' involving corporations, cultures, markets, nation-states, and global institutions exhibit a very different kind of complexity from everyday situations. And under these circumstances, common sense turns out to suffer from a number of errors that systematically mislead us ... " . Does this ultimately mean we need a deeper caution for applications of 'Business Intelligence'? In a survey by Aislebuyer. " ... 57% of shoppers said retailers that use mobile devices instead of cash registers are more appealing, even though only 22% have shopped at such stores. "We're seeing increased interest from retailers in supplementing and potentially replacing traditional registers with a tablet-based mobile point-of-sale or store-associate solution," said founder and CEO Andrew Paradise.... " . See the Aislebuyer site which has some good additional white papers, video and background. For some time now it has been common to see Wikipedia results to come up on page 1 of a Google search. Search Engine Watch looks at a number of studies that have looked at this behavior, based upon the kind of searches used.
" ... What's the driver today? You want one word? It's advertising. And, you may think advertising is very trivial, and of no real importance, but I think it's the driver. If you look at what most of these codes are doing, they're trying to get the audience, trying to deliver the audience. The money is flowing as advertising.... And it is interesting that Samuel Butler imagined all this in 1863, and then in his book Erewhon. And then 1901, before he died, he wrote a draft for "Erewhon Revisited." In there, he called out advertising, saying that advertising would be the driving force of these machines evolving and taking over the world. Even then at the close of 19th century England, he saw advertising as the way we would grant power to the machines.... "
In the CACM: Somewhat Technical, but some valuable insights: " ... Surveying a suite of algorithms that offer a solution to managing large document archives ..... As our collective knowledge continues to be digitized and stored—in the form of news, blogs, Web pages, scientific articles, books, images, sound, video, and social networks—it becomes more difficult to find and discover what we are looking for. We need new computational tools to help organize, search, and understand these vast amounts of information.... "
Good general piece in CIO about getting ready for Big Data. Companies will increasingly need to leverage the data within their own domains and lead rather than follow to make sure it is the right data as well. What is the big idea of Associative intelligence? In a back of the envelope exploration, Saffron Tech presents the idea. It is an important one. How do we save and retrieve the kind of fuzzy intelligence we use so successfully every day? Your data represents your experience. Big data equals big experience, so why not use it? In CNet Reviews: An example of how to let regulations contort perfectly good technology to make their use as unusable and complicated as possible. Keep it simple, please. Just discovered. The Shoppologist. Retro looking view at things shopping with some discovered gems. Colleague Walter Riker looks at the Smart phone-dumb phone conundrum. I thought this was all solved already, but maybe not. Can everyone master the smart phone? Just the other day I had a waitress at a bagel shop ask me if I knew how to turn off all the background Apps on my iPhone. She insisted upon taking my phone from me and showing me how. And she was very proud of the demonstration. On VisionIQ: This was brought to mind because in a previous world I dealt with the methodology of reliably tagging arbitrary images, difficult without human assistance. " ... Image recognition platform ... IQ Engines provides image recognition software that can identify the content in virtually any photo. We provide this software to developers and provide a simple way to integrate image recognition capabilities into mobile applications. Our customers include retailers, media companies and mobile app developers who are using IQ Engines to power visual search, shopping, content discovery and other apps. ... "
A look at the concept of 'learning bursts'. short time duration, repeated learning sessions. " ... A learning burst is a combination of an eight- to 10-minute audio cast similar to a talk show, which can be played on any compatible player or device. It also includes a document, or “workbook,” of supporting material, with three to five pages per chapter or topic of simulations and case studies to augment the learning burst, as well as a short quiz and a prompting exercise to get participants to think about how they would apply what they have learned. Each burst is a self-contained discussion of a particular topic or subject.... "
Kind of an obvious thing at one level. But how do you make it work well? Health is a personal thing, so are people willing to share specific information to empower the gaming dynamic?
" ... Walmart is making a change in the way it does online commerce and there’s a big data story behind that shift. Stephen O’Sullivan, senior director at of Global e-commerce, at Walmart Labs is prepping the retail giant to move from 10 different web sites to one and from a trial-sized 10-node Hadoop cluster to a 250-node Hadoop cluster. Along the way his team will build several tools to migrate data from the current Oracle, Neteeza, Oracle and Greenplum gear that he hopes to open source.... "
An interesting piece about P&G using Pinterest. Always something new. Not sure if it solves their social media 'problem', but it does get some new brand managers something distinctive to do. In the WSJ Numbers Guy: Absolute vs Relative risk. An important difference that is often misunderstood. CIO Insights Reports reports about new Predictive Analytic Software and services from IBM. I have thirty years of experience with the use of analytical methods to improve company decision making. Analytical methods are fundamental to improving business operations. First you need to understand the process involved and what its current performance is, then gather data about the details of its operation, and then analytically model its performance, and predictively understand results that could be achieved by making fundamental changes. We used IBM software in the company to do this kind of analytics from the very beginning, so it is of particular interest to follow their new offerings. These methodologies are particularly useful to address applications like fraud, resource utilization and allocation, supply chain cost minimization and profit enhancement. They can be broadly applied in many industry segments. They can utilize new kinds and quantities of data available, from both public and private sources, that were never readily available in the past. The results can also be delivered to the decision makers at the point of use, using new mobile technologies, resulting in more accurate and efficient results.
" ...IBM hopes to broaden the group of clients – specifically C-suite leaders – who can adopt analytics, extending IBM's position in the strategic market for business analytics. IDC estimates enterprises will invest more than $120 billion by 2015 to capture the business impact of analytics, across hardware, software and services. About how Kimberly Clark plans to market in a digital world. Semantics or a key subtlety?
" .. Spurring growth for such brands as Huggies, Cottonelle and Scott remains a priority. Mr. Sirkin will also concentrate on K-C's "lean marketing" initiative. Though several packaged-goods marketers have talked in recent weeks about digital media as a driver of cost-efficiency, it's not the key, he said. In CACM: I visited and presented at GE's Smart Grid Center in Atlanta last year. They are doing some very impressive things and presenting the results to industry partners. Still, there is considerable challenge to contribute the concept of 'smart'. It is described as " ... A fully automated power delivery network that monitors and controls every customer and node, ensuring a two-way flow of electricity and information between the power plant and the appliance, and all points in between. Its distributed intelligence, coupled with broadband communications and automated control systems, enables real-time market transactions and seamless interfaces among people, buildings, industrial plants, generation facilities, and the electric network. ... " . So what does 'fully; mean here? I saw many examples of advanced simulation, a key aspect of doing anything like this, but relatively little artificial intelligence was evident. This article is a good, non-technical overview. I was an early user of Spotfire, now Tibco Spotfire. An impressive package for deep data visualization and delivery. They have added a number of social features in recent versions. An interesting idea, but does not by itself sell the package. Here a look at the social features. It is an increasing trend in software in general. Clever idea, from Microsoft, that could have application for mining important aspects of corporate history for training: ... " Prototype software called Lifebrowser uses artificial intelligence to help you revisit important events, photos, and e-mails from your own life. ... Mining personal data to discover what people care about has become big business for companies such as Facebook and Google. Now a project from Microsoft Research is trying to bring that kind of data mining back home to help people explore their own piles of personal digital data .... "
SymphontyIRI and GMA are starting a project on identifying the analytics of tomorrow. " ... GMA is working with research firm SymphonyIRI on Analytics2020, a global survey focused on defining the elements necessary for success in a changing retail landscape. GMA will share initial findings at the GMA Executive Conference in August .. "
The system uses Tableau Software to deliver the resulting visual intelligence. "When considering their options, Haynes and his team trialled a system from Fizzback, a UK start-up that was acquired by Israeli software vendor NICE Systems last year, which allowed them to collect customer feedback via text message. Passengers are texted a short, two-question survey – how was the experience, and would they recommend it to a friend – and are invited to add any additional comments in the text. After a three-month trial and five months of planning, Eurostar adopted the Fizzback system. Now, each morning, a long list of customers who shared their mobile phone numbers is sent to Fizzback, which randomly picks 1500 to survey. Haynes says he gets about 150 responses every day.... "
From AnalyticsBridge: An interesting paper that addresses the process. Somewhat overplayed in my opinion, but it is worth a look for alternatives to design choices. This saw considerable press a few weeks ago. The P&G detergent Tide being used as a 'currency' for criminals. And becoming the object of theft. Not because it can be used as a chemical basis of controlled substances, but because it is a product with a well known use and value. Using game dynamics to prevent support agent burnout. A reasonable area of application since it includes tiresome tasks, but is it reasonably scalable? Unilever's Open Innovation team launched a new online platform, which offers experts the opportunity to help the company find some of the technical solutions it needs to achieve its ambition of doubling the size of its business while reducing its environmental impact. The global consumer goods manufacturer has extended its collaborative approach with partners to help it deliver a range of important innovation projects that support the company's sustainable growth strategy.... "
Additional Cloud risks. The danger of legal actions in the Cloud. A recent example shows the danger. An NFC enabled print ad for Lexus in Wired Magazine. Readable from NFC enabled phones or other devices. Why this versus a QR code? I have not tried the phone-enabled NFC lately, but likely it is easier to connect than a QR code read with a smartphone camera. Is that enough of a reason? From ComputerWorld a post on the applicability of the new iPad to business. Personnally I do not plan to upgrade from the '2' unless I need to utilize or test the new capabilities for a project. The key capabilities I see are higher resolution imagery. Can your life processes be gamified? Can you adjust your more mundane tasks by using game dynamics> [ Link deleted at request ] looks at Apps that claim to do this. Had only heard of a few of these. Useful examples of the idea. Informs Magazine has published a short piece on the pitfalls of using Business Process Management (BPM). Good, common sense consideration for any BPM project. This interests me because you need to have some knowledge of the decision process you are attempting to improve. In my experience, even the most simple process mapping exercise will bring profitable revelations. Just brought to my attention, reviewing. Powered by SAP HANA. Free trial version available. " .... SAP BusinessObjects Portfolio On-Demand Solutions: SAP Businessobjects BI Ondemand Explore, report, and share data with the SAP BusinessObjects BI OnDemand solution. It's a comprehensive business intelligence solution in a software-as-a-service (SaaS) model that helps users get up and running in minutes. ... "
In AdWeek: " ... Walmart to Marketers: 'We Are an Experience Platform' Dominating Retailer-as-Media Landscape, Behemoth Offers Brands Options Via Online, In-store TV, Social and More .... The appellation came in the process of rolling out what he termed Walmart's "Retail Development Kit," something akin to the software-development kits that online platforms offer their developers as ways of building their brands and businesses. It includes everything from co-op TV ads to in-store TV to ads on Walmart.com or the opportunity to piggyback on Walmart social-media programs, such as its store-specific "My Local Walmart" program on Facebook .... "
Long ago I attended a session at the Royal Academy of Dramatic Arts (RADA) on using improv techniques to drive innovation. Also again later with a group in San Francisco. The San Francisco example was more practical. These sessions were fun and got people to learn to know each other, but I don't think the technique ever led to any innovation directly. A piece on the concept. In GigaOM: " ... For the first time in history, businesses can leverage big data for the benefit of driving marketing insights. We are at the very beginning of this wave, but this fundamental shift will create several multi-billion dollar winners. And a set of technology companies will emerge as the marketing equivalents of Salesforce and SAP.... "
Buzz impact landscapes for the new iPad Launch. First time I have looked at Argus Insights methodology to understand delight for new products. I like the visualizations that address the impact in a category of product, like tablets. I could this as being of value in other categories beyond electronics. Check out their methods. A cognitive bias called the Dunning-Kruger effect. " ... In short, a person’s incompetence inhibits their ability to recognize his or her incompetence.... "
How does a big enterprise like Procter & Gamble securely deliver data in near real time to its decision makers? By using a system like Business Sphere, an internally developed method of data acquisition and delivery. How do you now get those complex data visualizations to environments as disparate as the smartphone, laptop, tablet and wall projection? As I understand it, now available to other enterprises. The idea started many years ago with our early experiments with executive information systems and well designed but less than successful efforts like Metaphor Computer Systems. I have looked at Business Sphere and talked to its developers and it is impressive. As they describe it: " ... Procter & Gamble’s groundbreaking Business Sphere environment and Business Sufficiency analytic models enable the Company to be rapidly responsive to changes in the marketplace and uncover new opportunities to improve the lives of consumers. 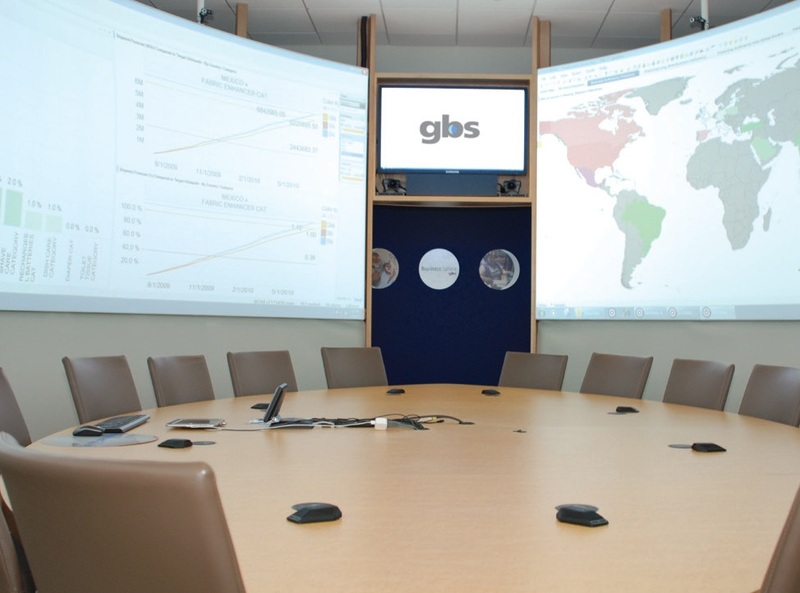 Business Sphere—built and powered by P&G’s Global Business Services (GBS)—is a visually immersive data environment that transforms decision-making at P&G by harnessing real-time business information from around the globe ... "
I love the idea of using graphs to understand connectivity. We experimented with it many times using enterprise data. Walter Riker sends along a link from GigaOM on using interest graphs to create a personalized Web. Based on an interview with the Gravity site. Exploring: " ... Gravity Personalization delivers serendipity to your users. Each person has a unique and diverse experience that balances their interests, common interests of all users and the sound judgment of your editors.... "
While I was at P&G and Teradata was still part of NCR, we had NCR sales registers as part of our environment. I had the opportunity to work with some Teradata analytics systems, but have not been back there for quite some time I happened to to see this report of theirs that touts: Portfolio simplifies analytics, from self-service access for business users to big data analytics for data scientists Interesting idea overall that I am interested in trying. The idea of 'self service' analytics is always useful. Teradata, for cheap publicity to retailers and manufacturers, please contact me to talk.
" ... Research software from Microsoft synthesizes speech in a foreign language, but in a voice that sounds like yours. ... Researchers at Microsoft have made software that can learn the sound of your voice, and then use it to speak a language that you don't. The system could be used to make language tutoring software more personal, or to make tools for travelers ...."
In Innovation Excellence: Forecasting is a long term interest. I have taught it and implemented it in corporate systems. There are many styles, from using numerical modeling, to means of generally mapping the broad possibilities and preparing for many of them. The linked article suggests the use of 'pre-thinking' vs the well known scenario planning method. Interesting, worth thinking about, but not much different except in the philosophy of determining the scenarios. I think there is value in integrating scenario analysis and quantitative systems, which combines the best aspects of both methods. There are lots of new ways to gather data, are we, or will be be overwhelmed? Some useful thoughts about how to think about gathering and using it. On the economics of emotion. " ... Doesn’t the advertisement make you want to buy a BMW? Don’t you want to feel cool or look more successful, technology-forward and progressive? Well, that desire is emotion at work. Steve Jobs inherently knew the emotion of his consumers was critical currency in building the Apple phenomenon, and with over 1,700 CMOs admitting that building an enduring connection with consumers is a top priority in a recent IBM survey, leveraging emotion is fast becoming a top business imperative..... "
More on gamification. Also known as serious play, a means to use the dynamics of games to get things done more quickly or efficiently, or to even get them done at all. We experimented with the idea within the enterprise a number of times. It is useful to think about as a metaphor for the process within a user interface. An interview about where cyberspace meets retail. The interaction is getting more common, and amount being sold online is challenging many assumptions. Locately on DemandTec. I was recently pointed to this path-to-purchase approach that I had not heard of before. An example of an instrumented component, or sensor, that can be attached to shopper behavior. Leading to smarter commerce. This has been an interest of mine since the innovation center formation. The connection to DemandTec's analytical techniques creates a whole new sphere of business analytics. Which rivals do my shoppers cross-shop at and why? What is my market share of foot traffic in the channel? When do shoppers drive past my store to go to a competitor, and vice-versa? Why does this happen? ..."
Dan Bricklin, inventor of the Visicalc spreadsheet, provides some insight into the tablet revolution. I spent some time training executives to understand and use spreadsheets. There are some clear similarities and striking differences between the two revolutions. What is the same is the way corporate customers are buying into the idea, there has been a wave of enterprise purchasing. But also pleas from employees asking 'What exactly do we do with these beyond what we have today?" The curious example of retailers shutting their Facebook stores. " ... A Bloomberg report this weekend pointed out that Gap, J.C. Penney, Nordstrom and GameStop have all opened and closed shops on Facebook within the past year — undermining expectations that the social network will become a major revenue driver for retailers over the next decade.... "
I well remember when Encarta became available on Windows. The simple encyclopedia was bought by Microsoft and we installed it for tests in some admin offices and fed the results back to MS. It was good, but not as complete as was required for administrative staff. Still it was used daily for general information access. Later, as the Web became more commonly accessible, most people switched to searches. Large encyclopedias were in the library, some distance away, thus was not often used. An article in Wired describes the advent of Encarta. The Wikipedia became commonly used and a standard along with Web search. In the last five years the first entry in a Google search is often from the Wikipedia. For better or worse, often it became a default source knowledge. The March April Analytics Magazine. Lots of background and how-to information. Sports,marketing, public sector, supply chain and more. 4000 new products battle for the Wal-Mart Shelf. Interesting stats in CGT. Is this why online ultimately wins? Though you can see and feel and touch the items in the physical aisle, which you cannot do online. So is it the sheer assortment online, versus touch and feel in brick-and-mortar? Many people have found out you can now have it both ways.
" ... After just five days of public voting, Walmart's Get on the Shelf contest has attracted 274,000 total votes as of Sunday, March 11, 2012. This is the first contest of its kind from a major retailer, and the American Idol-style contest gives the top three products an opportunity to win virtual shelf space on Walmart.com. The Grand Prize winner's product will have the opportunity to be sold on Walmart.com and featured on the site's home page, and also get the chance for valuable shelf space in select Walmart stores across the country.... "
In the HBR: On stopping eMail overload. With more clients and connections the overload is becoming both broader and shallower. " ... Even if you wanted to use it less, he says, it's nearly impossible to get people by phone or in person these days. Both Pozen and Allen believe that sweeping rules like the ones Atos and VW are trying are not necessary. You can regain control over your email, and reduce its insidious effects on your productivity, by looking at the root causes of the problem and then following a few straightforward rules.... "
In a true knowledge milestone, the 244 year old Encyclopedia Britannica will cease print editions with the 2010 edition this year. They will continue to produce online editions and other educational material. The demise has been approaching for some time, since the delivery of cheap online encyclopedias, then Google and the Wikipedia.
" ... SAS published news of a newly available Hadoop access connector, The new Hadoop support allows the industry’s most widely used analytics (IDC says SAS has 35% of advanced analytics market, more than the next 15 vendors combined) to pull in data from the open source Hadoop framework. The Hadoop connector joins three dozen other access connectors to allow customers to apply SAS analytics on most popular data sources. SAS doesn’t care if you’re using Oracle or DB2, SQL Server or Teradata, Hadoop or other enterprise-class data sources. To SAS, data is data, but our analytics are head and shoulders above the rest.... " SAS Explains Hadoop. Roger Dooley gives a good recap of the presentations at the SXSW conference that dealt with neuromarketing and related capabilities. A short piece in the Boston Globe which notes that Stop & Shop is still the only major company that is generally providing in-aisle retail scanning. I worked in this area for years and we experimented with the design of such devices in the lab. These ideas ultimately led to the Modiv design. Which now also has a Smartphone based system. But retailers were always reluctant to take on the care and feeding of new devices without clear returns. Now with the advent of Smartphones, there is room for the shopper to own the cost. See Aislebuyer for another example, developed by a former colleague, Andrew Paradies. In the WSJ: An article about how SAP is trying to promote its HANA methods with big data startups. It is naturally difficult for large enterprises to work with startups. A large company works in different time frames, and with different expectations than a small company. In my own experience I worked with many innovation oriented startups, and had to continually remind them that the tail will have a hard time wagging the dog. Further the large company had to be treated as a collection of silos, and you had to find the right part to fund and understand your work. If anyone, SAP should know this dynamic, they pioneered a top down approach for getting inside the big enterprise, where they have been very successful. An article worth reading for enterprise and startups.
" .. This week the company hosted 26 start-ups, along with several venture capitalists, at its campus in Palo Alto, Calif., to discuss “big data” and how it will change the world. SAP contacted the start-ups just three weeks ago—the company is now working in what SAP Senior Vice President Aiaz Kazi called “HANA time”—and has no investments in any of them, although it is working on a developer program and on other new programs for start-ups, including one called “Powered by SAP HANA,” that it hasn’t announced...."
Will follow this further to see what more I can find out about this effort and report back. Stan Dyck sends along a link to this paper about weak neuroimaging science. I did some work with a company in trying to understand how well neuroscience was being used statistically for commerce applications. It was clear up front that all neuromarketing firms were using a different set of criteria to determine how well their methods could predict things. This paper never mentions the term 'neuromarketing', but makes some useful comments about the statistics involved which play over into the broader and more commercial applications of neuroimaging science Also lots of links to the related debate. Storytelling for brands, and storytelling has a timeline, so Facebook timelines can tell a story, including those about brands. More information about last week's meetings at Procter & Gamble on the power of digital. Background interviews. In the NYT section on Media and Advertising: Good piece by David Carr on the ethics of blogging. On the aspects of aggregation versus completely novel column writing. I aggregate in this blog, curate is the new term, it is the ideal format for the Web, where we all stand on the shoulders of others, and can make that obvious using the simple hyperlink. The article mentions the proposal of two glyphs that represent whether the curator of the information has directly quoted the information, or was simply inspired by the information. Not sure I think this will be clear enough. Why not simply include a link to the original right material up front, and the information in quote marks?
" ... During this year's SXSW, PepsiCo will announce the expansion of incubator program PepsiCo10, which matches digital startups with Pepsi brands, to India and Brazil. The company also is sponsoring a "What If? Unconference" at SXSW, which asks participants to brainstorm innovative uses for digital solutions.... "
Mark Montgomery of Kyield writes about the legacy of the Tohuki earthquake. Its broad managerial implications and governance. This reminds me of the preparation of our supply chain to much less catastrophic 'random' events like the Katrina hurricane. Preparation is everything. One approach we used was simulation modeling that included sensitivity to key breakdowns. Causes of the loss of auxiliary power at the Japanese power plant would have been an an obvious example.
" ... Whether psychological, social, technical, economic, or some combination thereof, it would seem that no justification for not deploying the most advanced crisis prevention systems can be left standing. Indeed, we all have a moral imperative that demands of us to rise above our bias, personal and institutional conflicts, and defensive nature, to explore and embrace the most appropriate solutions, regardless of origin, institutional labeling, media branding, or any other factor. Some crises are indeed too severe not to prevent.... "
In FastCompany: Look forward to taking a closer look. Will this prove to be a fundamental change in the educational process? This App iPad is now on the iPhone App store.
" ... Khan Academy, the wildly popular YouTube lecture series, is slated to launch its iPad app any minute now in Apple's store. The enhanced version of Khan Academy will include time-syncing between devices--no Internet connection required--an interactive transcript of the lectures for easy searching, and a handy scrubber for moving between parts of the lectures. Perhaps more importantly, now that more schools have begun adopting Khan's lectures for their own classrooms, the free iPad app could possibly replace or supplement textbooks, saving cash-strapped schools and students a lot of money... "
iPad visualization Apps. 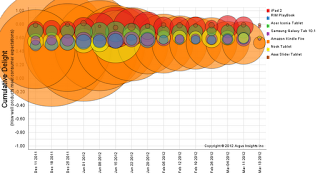 Some interesting examples of ways to visualize things on a tablet. Tablets are ways to simplify interaction, as are visualization technologies. This example is by no means complete, but a good start. MJ Perry on Daylight Savings Time. Including an analysis of its cost. I find the Wikipedia article on the topic also quite interesting. Some time ago I got the chance to interact with Allostatix, the best known practitioner of the measurement of Allostatic Load, a multiple component human health stress measurement. Their analytics involved are particularly novel and interesting, I just read some of the work they have done. I just read about their use of allostatic load to diagnose and set the stage to remedy Post Traumatic Stress Disorder (PTSD), commonly seen in military contexts. Impressive use of complex health data. More on quantifying the patient. Back to who owns the data and can ultimately leverage it. Can you afford the sensors needed? The quantified self movement's practitioners are also called self-quanters. Have used Rapportive for years. If you have many contacts it usefully provides information about them on a right hand column in GMail. It makes sense that they have now been acquired by Linkedin to get even more information about a contact. Correspondent Jerry Michalski comments in Forbes on Big Data and the Stalker Economy. Based in part on our conference call about Big Data from this Monday. Some excellent points. Colleague Dean DeBiase on this topic. Good points, Dean. " ... One of the most interesting aspects of the analysis issued recently by Nielsen company NM Incite on the U.S. Digital Consumer (although the fact that 274 million Americans now have Internet access, up from 132 million in 2000 is pretty interesting) is the fact that a gender divide in digital usage seems to be emerging. According to the report, men are predominantly tablet owners, while women are the majority of social network users and online video consumers. The sexes are evenly split when it comes to smartphone ownership.... "
Priceonomics. 130 million prices to buy or sell just about everything. I wonder why this kind of data has not been provided before. I have now given several talks on the use of game dynamics for engagement and dreary task completion. I am often asked ... give me some real practical examples I can use. The Gamification Blog reports on some new examples they have posted in their database that are worth looking at. Lets continue to get serious in the application of game dynamics. Connect with me for some ideas. Also, the gamification blog contains some good reports on recent game conferences. In Forbes: A favorite research topic of mine. A form of neuroscience because we all do love the enchantment of a good story. What is a good ad if it is not a story well told? A good story is good theater, an arc with a beginning, tension and resolution. Endless opportunity too, because there is always another story to tell. See also my post on colleague Paul Smith's forthcoming book on leadership in the enterprise via storytelling. Also, more of my posts on the subject. Yesterday P&G hosted a number of top Silicon Valley execs in their downtown offices. Google, Microsoft, Twitter, Facebook, Yahoo, Amazon, Nokia, Coke. .. etc. I have been reading some of the press coverage and feeds this morning. Mostly advertising and marketing oriented, which is what you can expect from a company like Procter. Nothing very new that I have seen in the reports. Though many of the real deals happen backstage. Thought they could have involved more local talent in this to integrate the ideas more broadly. Lots of opportunity here to make new things happen. Ready to join in. The useful Twitter feed can be found at #SignalPG or via this link. A critical review of consumer neuroscience. Quite a lot of worthwhile interesting detail in both the scientific and commercial aspects ... " ... To appreciate the value of combining neuroscience with consumer psychology, it is important to understand the broad range of insights available from neuroscience. Neuroscience is the study of the nervous system that seeks to understand the biological basis of behavior. This range of insights is too broad for the study of consumer psychology, which is why in the following paragraphs we briefly clarify which areas within neuroscience are the most relevant for consumer neuroscience.... "
In Computing Now: About Testing, quality and security concerns for migration to the Cloud. . Some useful comments on important considerations.
" Beauty packaging that increases interactivity between virtual, real worlds through embedded sound, video and QR codes is set to increase globally in coming year, according to new market forecast ... ... There is growing use of tablets and screens at point-of-sale to personalize the in-store experience. Korean brands in Myeongdong were some of the first to adopt screens and video at point-of-sale while Clinique introduced iPads for client consultations in-store. In the US, RiteAid is trialing an in-store kiosk that performs anonymous video analytics to determine the age and gender of customers standing in front of it. The Reward Centre then dispenses vouchers and customized promotions. ... "
Via Mark Montgomery of KYield. ... Supercomputing and big data appliances. Venerable Cray take a plunge into the thirst for big data understanding and analytics.
" ... IBM and Citigroup recently announced plans to explore how America's favorite supercomputer fits into the realm of digital banking. Under the agreement, Citi will examine Watson's ability to "help analyze customer needs and process vast amounts of up-to-the-minute financial, economic, product and client data," in the hopes of providing rapid, personalized banking solutions ... "
From DemandTec. This was precisely the approach we emphasized for many years within the enterprise. It is all about how the shopper behaves in their increasingly changing locations. It is about the point of decision. Personalized in the aisle, on a smartphone, on a tablet. If you don't know the shopper, you cant influence the decision. I like their header 'The Mythological Average Shopper'.
" .. With the explosion of mass retailing, the customer became an abstraction and all were treated the same. The turn of the century saw the advent of new, powerful technology designed to enable demand modeling, forecasting and optimization that support superior planning and performance. Learn how next generation technology is ready to help renew our intimacy with the shopper, target our plans, and deliver competitive advantage .... "
A new term? The phrase perhaps, but we have been doing this new thing for years. It deserves attention, now being lionized as the next big thing in predictive analytics, but is nothing new. The linked ComputerWorld article is a good non-technical introduction. Use it. A good interview by Todd Henry with Peter Bregman. On focus and priorities. " ... In this interview, Peter describes how he came to his 18 minute methodology, and how creatives can ensure that their priorities are making it into their life ... "
iRobot, the company that first brought practical robotics into the home, is reorganizing. Based on what they have done well, this makes sense. " ... iRobot has been branching out from its traditional household and military robots for quite a while, and it looks like it's now officially embracing those activities as a core part of its business. The company announced a reorganization (or "strategic realignment") today that will see it comprised of three different business units: Home Robots, Military Robots and Emerging Technologies.... "
Twitter as the Ultimate Business Intelligence Tool? Twitter as a Business Intelligence tool? I can see see the idea of tweets acting as a continuous interaction of interest and attention that can determine what is happening throughout a business sphere. If the right kind of intelligence sensors are available to measure what is happening in space and time. And then allow the results to be simulated forward and backward to determine the sensitivity of the system itself. I can see that as BI. I was just sent a message warning me that the Google Knol system will be retired by April 30. We experimented with it in the enterprise in 2007, thinking about the potential of using it internally as an architecture for a collaborative knowledge management system. If you have authored any Knols you can download them until October to alternative venues. In their FAQ they mention alternatives for the system, but surprising to me there is no mention of the Wikipedia. They have worked with Annotum, a WordPress based, open source platform, which I have not heard of, as an alternative repository. For the launch of their iPad catalog IKEA has commissioned a clever new take a touch tablet designed for cold weather mittens. Video. Good piece from the editor of Mobile Marketer. Behavior is changing rapidly and retailers will have to keep up to survive. The data to describe this change is now appearing. Can we analyze it to tailor the future response? "Most dialogue within marketers and retailers focuses on how to tap new technology and marketing to hang on to consumer relationships. What they should be discussing is the sea-change in consumer behavior expected in the next three to five years – thanks, in large part, to mobile and social.... It is painfully clear from attending numerous conferences and talking to senior executives that marketers are stunned by the pace of change induced by new technology. Mobile and social have enabled consumers to take control of the marketer-customer relationship to the nth degree.... "
A Kinect shopping cart that follows people around the store and can track what they put into it. The 'smarter cart' as they put it. Have followed and tested many of these ideas. Seems there may be many details that still have to be attended to." ... The project is still quite early in development, but Whole Foods has already tested single carts in some stores. The company plans to begin testing multiple carts at one store in Austin, Texas starting next month. If this follows the same trajectory as Chaotic Moon's Boards, don't be too surprised to see the process streamlined even further with a shopping cart that reads a person's brain waves.... "
In Tableau Software's blog they publish an overview of the Gartner Magic Quadrant for Business Intelligence. A useful representation, but hardly quantitative, so it is ironic that it is about a BI topic. Much quibbling is made by sales organizations as to where, exactly, their dot appears. Still it is good to see the players and their very general orientation in Gartner-Space. A very interesting article in the SAS Blog. " ... One of the areas that high-performance analytics has the potential to improve is marketing optimization. In fact, almost every presentation I see about high-performance analytics includes a slide or two about marketing optimization. To understand why marketing optimization is a big data problem ... "
A photographic project. What is it and what are its implications? More here:. " ... We are about to begin work on a very exciting new project called "The Human Face of Big Data." The project is aimed at helping the world understand the vital role that Big Data is playing in addressing some of humanity's biggest challenges. This spring one hundred of the world’s leading photographers will be dispatched around the globe to photograph all the ways that Big Data are impacting civilization. I'd like to ask you to help us by suggesting possible assignment ideas for these world class photojournalists..... "
In The NY Times Media and Advertising Section: I have pondered this recently as I have started to use e-Books more often. My smartphone and pad readers interrupt me with the gentle ping of an incoming message. So I stop and check the interruption without having to put the reader device down. Of course they do that even if I am reading a paper book. All of modern modern life has become fragmented.
" ... Recorded Future is an early stage company headquartered in the Boston area. We have 20+ employees in various corners of the globe attacking a hard problem - organize the web in a radically new and useful way. The world's 24x7 media flow is filled with temporal signals, including reports of what's transpired or statements of what's expected to come. Recorded Future's linguistic and statistical algorithms extract time-related information and through temporal reasoning we structure the unstructured. We help users understand relationships between entities and events over time. In doing so, we've formed the world's first temporal analytics engine. Our customers include some of the most advanced financial institutions and leading government agencies in the world.... "
In CPGMatters: " ... The food industry needs to speed up the way it collects data, develops products, reduces days of inventory, and deals with the convergence of online and in-store shopping. To make that happen, trading partners need to collaborate to serve shoppers better in today’s digital age.... "
Pretty obvious. It all relates back to faster and more pervasive business analytics. Its using the right data and the right models. Get mobile sensors in the stores and bridge ways to deliver that data to the right decision maker.Note to Pepsi: Contact me.
" .. StoreFlix has a real-time world-wide patent pending mobile technology that allows CPG manufacturers, distributors and retailers to instantly see, share and analyze in-store conditions around the world to improve retail execution and compliance. Field users "tag" and capture images and videos on smartphones/tablets in stores based on instructions mandated by management. These images are instantly uploaded over the air to a secure client website so business managers can visually see, for example, promotional or planogram compliance, new product cut-ins, confirm pricing, point of sale signage, backroom inventories, code dates etc. Content captured in the field is immediately shared with teams using the StoreFlix Boardroom (like the Facebook Wall) and provides real-time analytics to track and visually verify retail initiatives ... "
The possibilities for more precise retail analytics are considerable. Watch a short two minute video demonstrating the technology. Have been involved with wicked problems for my entire career. We used to call them messy problems. Solved some, am still frustrated by others. Now there is a free online book on the subject . Just taking a look myself. The Wikipedia definition of a WP and where the term came from is also interesting. Take the wicked challenge. In JunkCharts: A conversation on the meaning of being under-rated. Starting in the restaurant review sense. The comments also provide some intriguing thoughts. And then much beyond. And a followup post that is interesting. I had a project that addressed this problem some time ago. From Intel Research: Shopping on a 3D Web. A 3D Web for everyone?
" ...The common view that Facebook "likes" equate to brand engagement took a hit last month when the Ehrenberg-Bass Institute shared some interesting data with us. Researchers found that less than 1% of fans of the 200 biggest brands on Facebook actually engaged ... "
I have been connected to the Ehrenberg-Bass Institute at the University of South Australia for some time. See also my mentions of their director, Byron Sharp's book: 'How Brands Grow: What Marketers Don't Know', an excellent book about branding, which reveals some useful and relatively little known 'laws' of the brand. Multiple retailers, including Target and Wal-Mart, to take on the challenge of Google Wallet. The consortium is setting up their own mobile payment system to challenge Wallet. Is this a signal that the smartphone wallet will soon become common? Creating new paths for promotion and integration? Pioneer of artificial intelligence Alan Turing is celebrated in the 100th anniversary of his birth. A special edition of Nature Magazine. " ... In this collection of features and opinion pieces, Nature celebrates the mind that, in a handful of papers over a tragically short lifetime, shaped many of the hottest fields in science today...."
Unilever chief marketing officer Keith Weed is to outline his vision for brand evolution at the Advertising Association's annual summit this week. Here, he explains what lies behind Unilever's strategy ... "
In the Economist: The trend of using technology to track your own health and then using social technology to compare data. Good piece describing the trend. I think it can improve the quality of your life. But I think it also requires the insertion of expertise, both medical and data, to help you understand what you record. Health analytics. I also think that it requires a special and somewhat unusual person who is willing to do the kind of recording and honest introspection that is required. Brought to my attention: Building a Mobile App Is Not a Mobile Strategy In the HBR. With some thoughtful comments as well. Interesting piece in the Atlantic. Regarding a Pew report: " ... The survey found, overall, what many others already have: that neuroplasticity is, indeed, a thing; that multitasking is, indeed, the new norm; that hyperconnectivity may be leading to a lack of patience and concentration; and that an "always on" ethos may be encouraging a culture of expectation and instant gratification.... "
In CACM: A Comparative study of cyber attacks. Technical and quantitative view that I have not seen before. Always interested in alternative sensory interaction and engagement. Here in AdAge's blog, a note about the fragrance Gud, From Burt's Bees (A Unit of Clorox) , which is using a social and scratch-and-sniff method, distributed via a number of magazines, to promote its fragrance. We examined digital aroma delivery, utilizing a plug in device, which ended up failing. It is too bad a workable Internet aroma delivery system does not exist, it would make things like the Gud approach much more useful. Excellent article in Informs' Analytics Magazine. With links back to some detailed analytical studies in the sports industry. May of these same thoughts can be applied to outside of sports.
" ... Over the past several years, the sports analytics field has been growing rapidly and has attracted a great deal of interest. Many of the unconventional strategies presented in the book “Moneyball” have become part of the new conventional wisdom, while the film based on the book has grossed over $75 million and been nominated for several Academy Awards. Despite the increase in data and analysis that can potentially inform more management decisions than ever before, too many teams do not engage with the tools and results of sports analytics, even when they are lurking in their own backyard... "